In February 2018, Foster Remodeling Solutions was presented with the first ever NARI/Guild Quality Service Excellence Award. 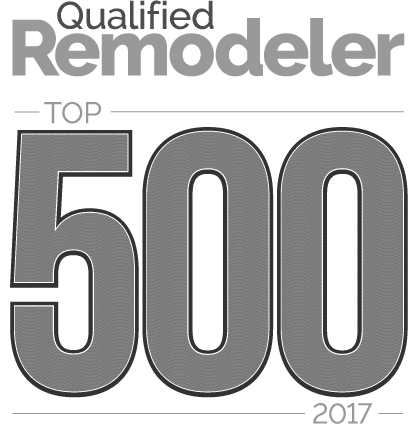 Foster Remodeling Solutions is recognized as a top customer service leader within the remodeling industry by GuildQuality and NARI Metro DC. In 2015, Foster Remodeling Solutions was awarded the Chrysalis Award. The Chrysalis Award honors the nation’s finest remodeling projects that reflect the professional excellence of the residential and commercial remodeling industry. In 2014, one of Foster Remodeling Solutions designs was chosen for the Master Design Award. This award recognizes remodelers, architects, builders, kitchen and bath specialists and other professionals for outstanding project design and construction. In 2012, Foster Remodeling Solutions opened a second location in Alexandria. Foster partnered with @Home a real estate company. We built out a design center at this location. When someone was planning to buy a house, but wanted to make a few changes, they could use our design center to choose their products. In 2008, Foster celebrated 25 years. The employees gave David a plaque and there was a party to celebrate years of hard work. In 2007, Foster updated and expanded the showroom once again, creating a space for customers to walk through and see many products. In 2003, David Foster received his NARI (National Association of the Remodeling Industry), Certified Remodeler Designation.